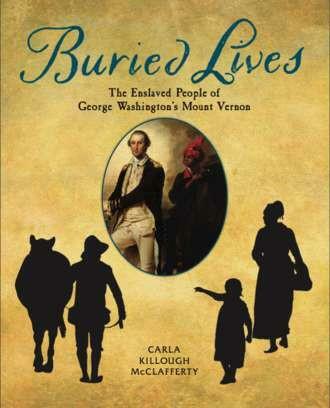 Mount Vernon welcomes author Carla McClafferty to the Robert H. and Clarice Smith Auditorium to discuss her book for young adults titled Buried Lives: The Enslaved People of George Washington's Mount Vernon on Thursday, April 11, 2019. The event will also feature a presentation from Mount Vernon's archaeology department, highlighting recent discoveries from the Slave Cemetery and about the enslaved population. Carla McClafferty grew up in the small farming community of Tomberlin, Arkansas, where her parents farmed rice and soybeans. Many long, lazy days of her childhood were spent under the outstretched arms of a giant pecan tree. Her elementary school didn't have a library, using instead bookshelves under the windows that filled one wall of the classroom. She says, "To this day, libraries fill me with awe and appreciation." After high school, she graduated from Baptist Medical Center School of Radiologic Technology, and worked in local hospitals and clinics. She has three children, Ryan, Brittney and the late Corey McClafferty. Although Carla always loved to read, she had never written until the death of her youngest son, Corey. After his tragic loss, Carla began to write about the experience. 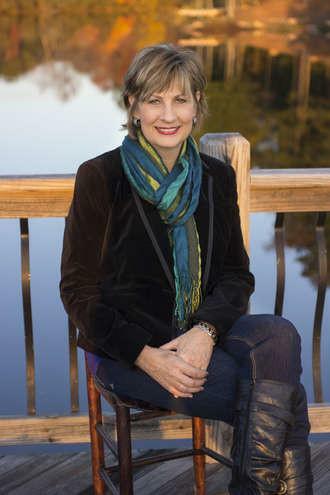 The story of her journey through grief became the subject of her first book, Forgiving God. Next, she turned her attention to writing nonfiction books for young readers. It is her hope that readers of her books will be entertained, informed and inspired. Carla is a popular speaker and presents a wide variety of programs for students and teachers all over the country both live and through interactive video conferences. Prior to George Washington’s death in 1799, 318 enslaved men, women, and children lived on the Mount Vernon plantation. While we know the locations of where the enslaved population lived, during Washington’s ownership of the property, the activities of their day-to-day lives outside of specific plantation-related tasks recorded by Washington and his overseers are largely unknown. The stories of the enslaved individuals at Mount Vernon, though obscured in the documentary record, are revealed through archaeological remains excavated around the historic core of the plantation, and on the land that once composed Washington’s outlying farms. This presentation will focus on what is known about plantation slavery through the archaeological collection, as well as provide an update on our on-going excavation of Mount Vernon’s Slave Cemetery. 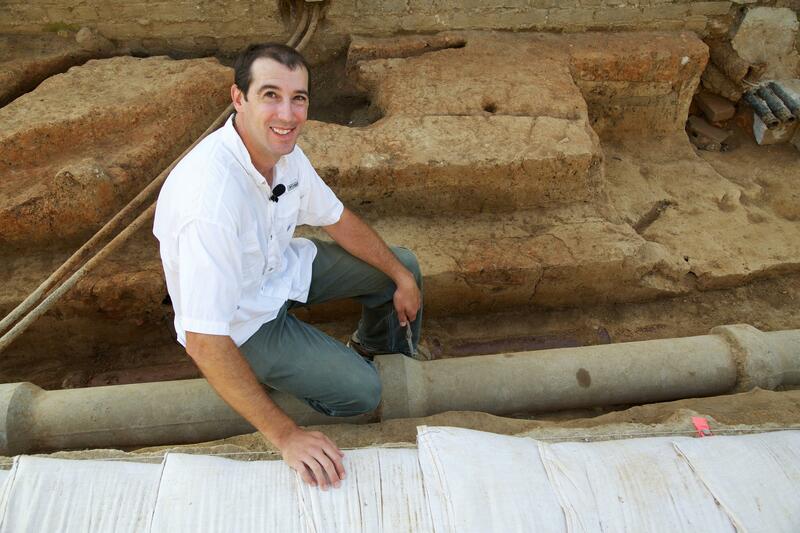 Luke Pecoraro is a historical archaeologist currently employed as the Director of Archaeology at George Washington’s Mount Vernon. He has worked in cultural resource management archaeology in the mid-Atlantic, the Chesapeake and New England on a variety of prehistoric and historic sites, and for several years as a staff archaeologist on the Jamestown Rediscovery project. Research interests include intercolonial migration and trade in the 17th century Chesapeake, relationships between English plantations in Ireland and Virginia, and the settlement of the English Caribbean. Pecoraro is also a research archaeologist for the First Colony Foundation, searching for the 16th century “Lost Colony” on Roanoke Island, and a team member of the Survey and Landscape Archaeology on Montserrat (SLAM) project in the British West Indies. He holds a Bachelor’s degree in history (Virginia Commonwealth University), a Master’s in archaeology (Boston University), and a PhD from Boston University with his dissertation focused on the cultural landscape of Daniel Gookin Jr. (1612–1687). Pecoraro is an active member of several professional organizations including the Society for Historical Archaeology and regularly presents papers at the annual meeting. Recent publications include Stewards of Memory: The Past, Present, and Future of Historic Preservation at George Washington's Mount Vernon and a book chapter as a co-author with John Cherry and Krysta Ryzewski, “A Kind of Sacred Place”: The Rock and Roll Ruins of AIR Studios, Montserrat,” in Archaeologies of Mobility and Movement. Guests should park in the Mount Vernon visitor lots and enter the auditorium via the Shops at Mount Vernon.